One of the areas where Linux is mostly underrated is video/audio editing capabilities. 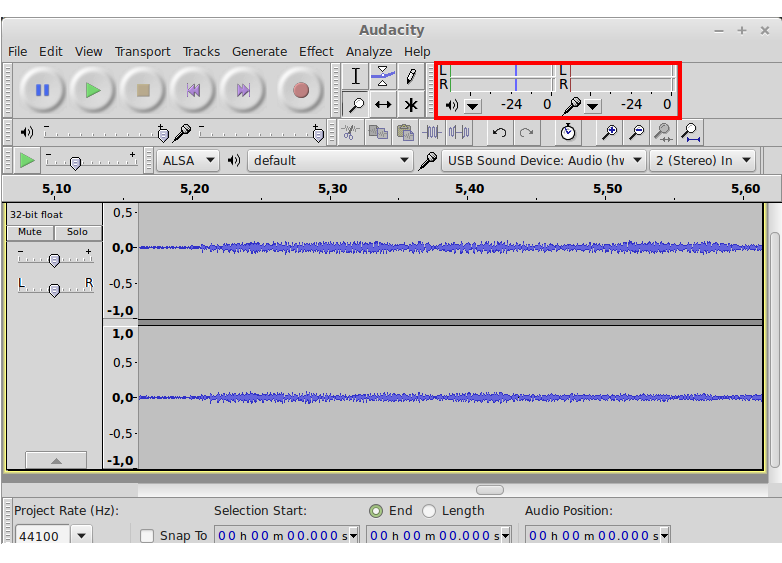 And to prove you wrong, Audacity steps up to the roster with its full support of all common audio manipulation techniques, including effect modules. 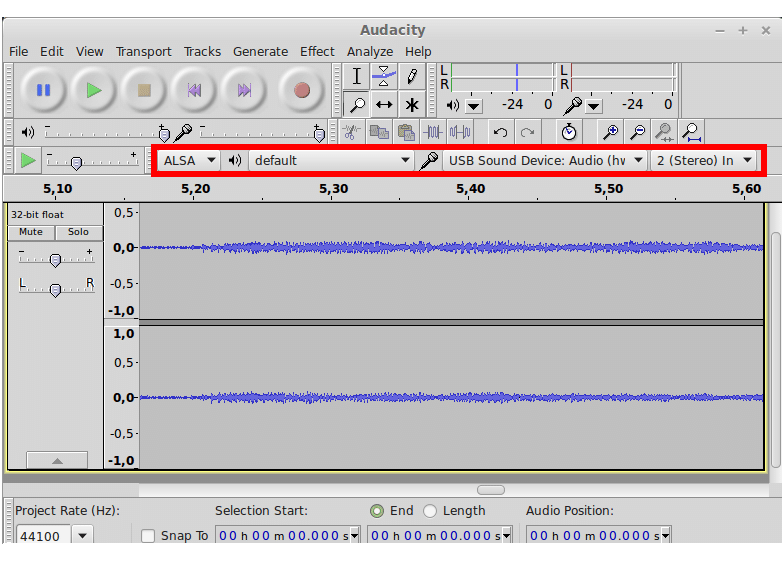 Audacity is a FOSS (free and open-source) cross-platform audio editing toolkit that is the go-to utility for most hobbyists. Although this nifty piece of software looks quite unremarkable at first, anyone who has any idea what they’re doing (as far as sound manipulation goes) will notice that they have quite the toolset at the tip of their fingers. So without further ado, let’s dive straight into the Swiss army knife of audio editing that every single professional and hobbyist knows. The software can be found in the official repositories, although what you download and install from there might not be the latest version. 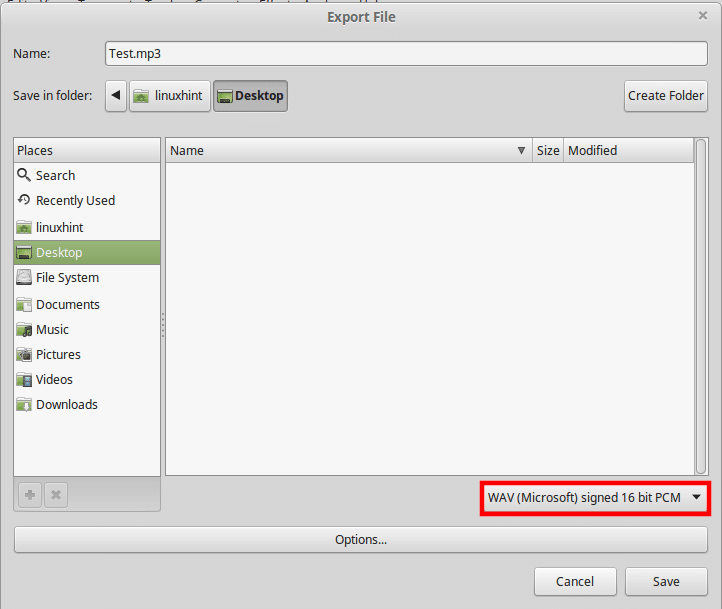 If the program is in the repositories, it will return the name and description of the matching package. Which will download the software and all dependencies. Don’t worry – it doesn’t take much space. Additionally, you could download and build Audacity from source but that is obviously not recommended for beginner users. In case you like a challenge, though, you can find an extensive walkthrough of building the software from source on its official Wiki. Before recording, you will need to select the appropriate sound device from the drop-down menu. Then it is highly recommended you check on the recording levels by clicking on the monitoring meter. It will show you how loud your signal is. The loudest parts of your signal (you loudest talking, if you are recording your voice and your loudest strumming if you’re recording guitar) should not pass the 0db on the scale. This is called peaking – the portions of your sound stream that are the loudest are peaks and they should reach about 0 ideally. To be on the conservative side, you can adjust the microphone slider down so your sound peaks at -6 to -3. The recording process itself is quite simple – you only need to press the well-familiar big red button on the main toolbar of the window (shown below). Once you’re done recording, press STOP twice to stop the recording and to reset the cursor to the beginning of your audio file to-be. 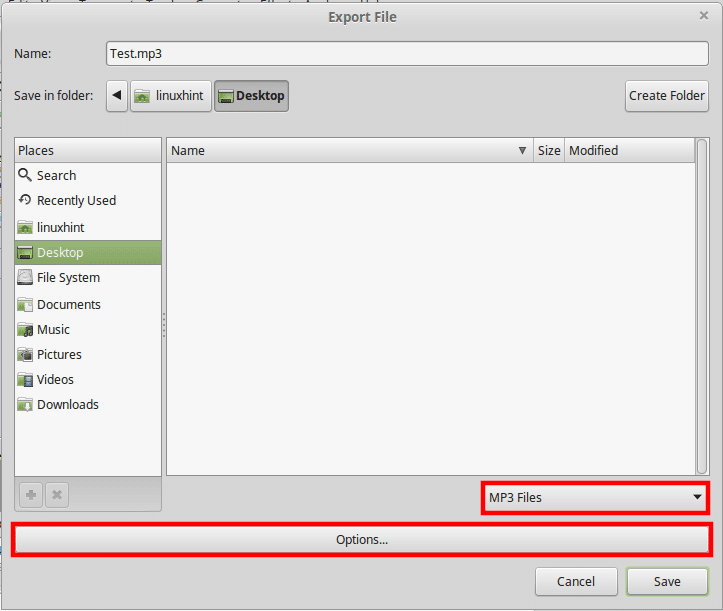 Now that you have your file recorded, you can go ahead and click on Effects > Noise Reduction. At this point, worry not – the plugin will do absolutely nothing. 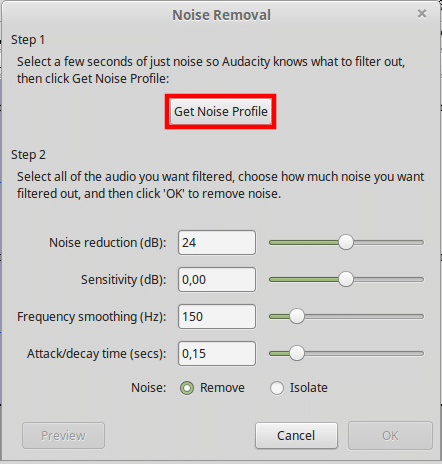 Click the “Get Noise Profile” button and let the plugin calculate the adjustments it needs to do. For most intents and purposes, this should work for you without further adjustment. After that, select your whole file (or just the portion you want to clean) by dragging with your mouse or pressing Ctrl+A (to select all). If you like that, click “Ok” to complete the noise reduction. If not – play around with the different parameters or try again. The “speed” at which any musical work goes, we call “Tempo”. 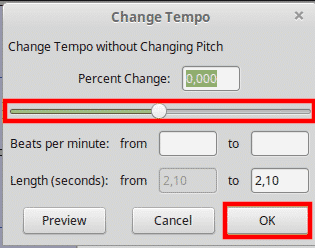 In this case, whether you’re recording music or not, we can use the Change Tempo effect to achieve slower or faster playback. You might need to separate your audio file (called a clip) or move a portion of it to another track. In this case, you can easily use the built-in controls to do that. You now have a separate clip, which you can move along the timeline. The different audio formats all have their quirks but they can mainly be split into two categories – lossless and lossy. The difference is that lossless audio formats tend to compress the digitally represented sound stream as little as possible. This also makes the resulting files take a lot of disk space. Lossless audio formats include WAV, FLAC and OGG Vorbis. You may have already seen them around if you’ve worked with audio before. In Audacity, you can export your audio in one of these formats. WAV is the format of choice for most people when quality is a concern. 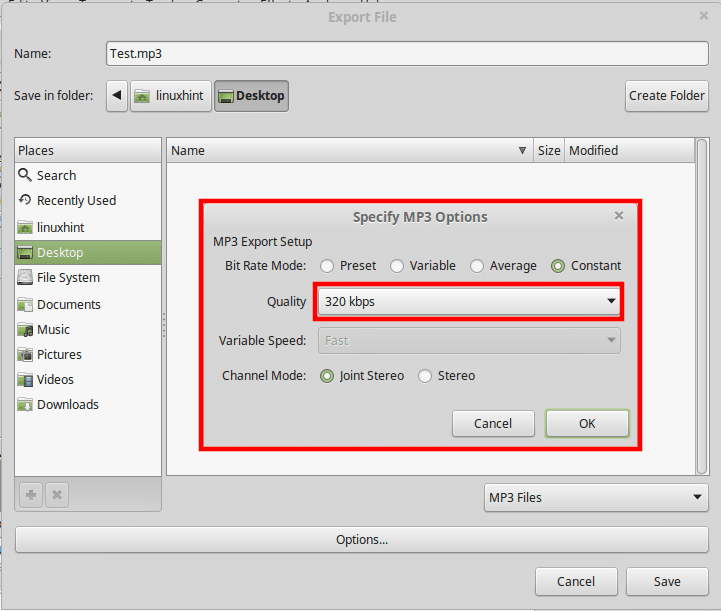 A common problem that beginners run into is not being able to export to .mp3 – the most widespread audio format in the world today. This is because up until months ago, the mp3 standard was a proprietary and licensed technology and Audacity relied on 3rd part libraries in order to handle .mp3 encoding. Today, however, Audacity comes with built-in .mp3 encoding that works like a charm. The only thing you should consider is using the right settings to achieve optimal quality. Save your file and you’re good to go! All in all, if you work with audio in a not-so demanding environment, Audacity can be a life save once you get used to the couple of quirks it has. Although it doesn’t look too convincing at first, Audacity has a rich and capable toolset that you can employ in any sort of setting – from your bedroom to a studio. George is a blogger, hobbyist musician, marketing specialist but before all - an absolute geek. From web development to DIY electronics, he makes sure he doesn't leave a single niche unexplored. Linux, however, has been a long-time passion of his and he makes sure he keeps in pace with the news every day.